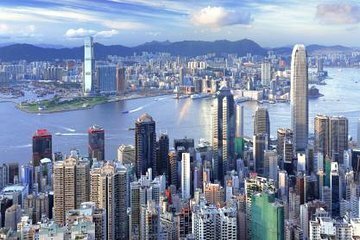 This small-group walking tour showcases the best of Old and New Hong Kong and allows travelers to truly immerse themselves in the culture, history and traditions of this diverse land. Your expert English-speaking guide will lead you through old-school markets and rare antique shops, then take you to the hub of commerce in this bustling city, where skyscrapers and modern buildings line the streets. Your guide will lend insight into how traditional ways meet contemporary culture as you explore Hong Kong. Experience a ride on the world's longest escalator, the Central Escalator! Meet your guide in central Hong Kong and kick off a day of exploring the best of this city’s old and new landmarks. Visit eclectic markets and fishing communities, as well as commercial centers and modern urban neighborhoods. Follow your guide into the Western Market and get an up close look at Hong Kong’s oldest market. Comb through stalls filled with colorful fabric, pastry shops and talk to locals selling a wide array of souvenirs. Wander down Wing Lok Street and Bonham Strand West and learn more about the ginseng residents love for its medicinal value. From there, make your way to Ko Shing Street—also known as Herbal Medicine Street—where you’ll gain an even deeper understanding of the traditional medicine used by thousands of locals. Once you’ve gained some insight from your expert guide, head to Hollywood Road (Antique Street) for a chance to explore shops filled with all kinds of rare collectibles. 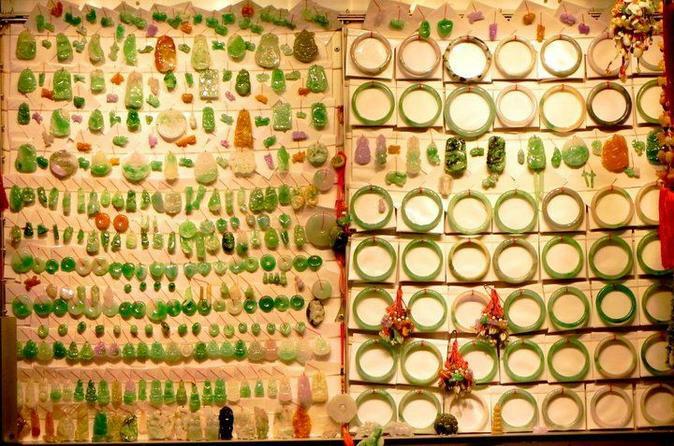 Items range from jade to silk, furniture to religious relics. After you’ve traveled back in time in the stalls of this unique market, head to Tai Ping Shan Street, where old and new meet. Check out the modern boutiques and cafes that line the streets of one of the area’s oldest neighborhoods. Check out the Central Escalators—the world’s longest outdoor escalator, measuring some 2,600 feet (800 meters). Travel to the top of the Central Business District and see towering skyscrapers and giant buildings like the Bank of China Tower. Learn from your guide how ancient traditions like feng shui influenced modern architecture and development. Note: Travel start from January 1st, 2016, you will visit another highlight of your Hong Kong tour, this will no doubt be a visit to the newly opened PMQ; the former Police Married Quarters has been transformed into the designer hub of the city. Young brands and independent designers showcase and sell their products in the old dormitory units in the heart of the city, while paying a subsidised rate. PMQ is the last word on cool in Hong Kong town. We dare you to see if something doesn’t catch your eye here! Danny was a great guide. The tour really showed us how the city has grown and changed over the last 150 years and the part about Chinese herb medicine was fascinating. Highly recommended. What a great way to spend the afternoon. The guide was very knowledgeable and shared many interesting facts I would have loved to have been able to do another tour with him. We had 2 stops where we had free time to do some shopping - was great for me but may not be what everyone is looking for in a walking tour. I was nervous about finding the meeting spot since it was the exit to a subway stop but ended up being very easy. Was a great way to see some of Hong Kong in the short time I had there and learn some of the history and how the area has developed. We highly recommend this tour! You have not really seen the city until you have walked with Danny, our tour guide, through the backstreets of old and modern Hong Kong. He showed us a herbal medicine garden, a local food market, a place where up and coming artists and designer display and sell their work, and so many others stops, until we reached the most modern part of the city, the finantial district. Danny is a well traveled, well educated local that is able to help you understand what this beautiful country is about. He is a walking Encyclopedia. Furthermore, he is such a pleasent and easy person to be around, making this tour fly by, even when we spent more than three hours walking with him. Danny was an amazing guide! He was knowledgeable and showed us things we wouldn't see on our own. Highly recommended! Despite the rainy weather, the tour was very interesting and the nuggets of info about the old and new Hong Kong were precious! Danny was a great walking tour guide. He took us through the back alleys and shiny new walkways of old and new Hong Kong and, despite the torrential rain, it was interesting, fun and value for money.